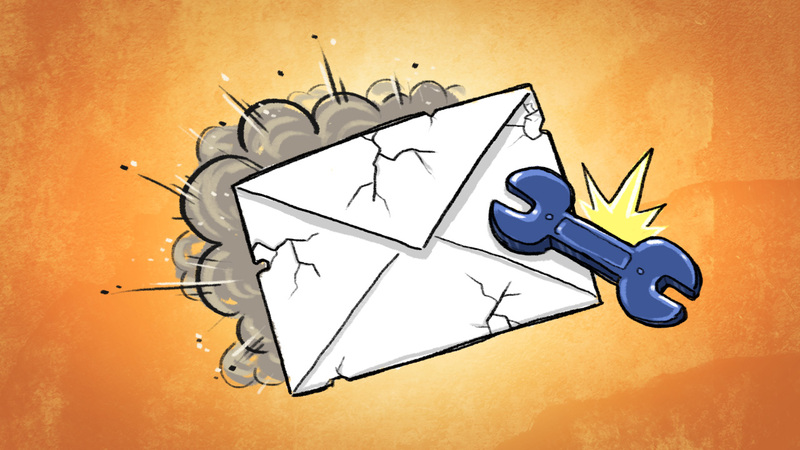 You have just written a convincing email that you can’t wait to blast out to your email list. The content that you have within the email is so great that you can hardly wait for the responses you will get from the people who read it. This email is going to generate some good $$$ for you. After 24 hours you receive no responses. You understand people are busy so you are not worried. 48 hours pass by and still no responses. You’re a little anxious, but you know you can’t rush the process. After an entire week and no responses, you are devastated. You thought you had created an email that was impossible to resist. What happened is your email marketing is broken. 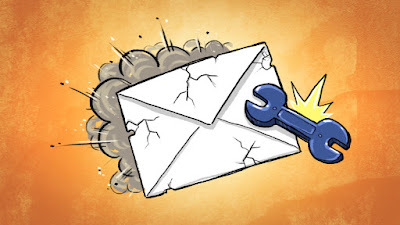 Somewhere within your email marketing system, there is a broken process that denies you the ability to convert readers into warm leads, who can easily be converted into customers. That is your goal right? To create engaging emails that produce revenue for your business? You set the right goal, but what you are currently doing is not helping you achieve your desired outcome. 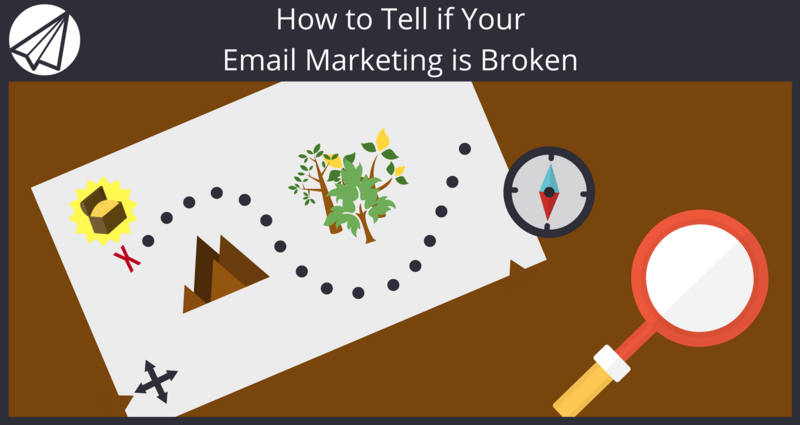 Provided are 4 ways to tell if your email marketing is broken, and how to correct them. Everybody hates their emails being ignored. It basically says that the recipient of the email either didn’t find your email to be worth reading or simply not worth being responded to. That can be a deflating feeling. Your homework is to find out exactly why people are ignoring your emails. They are not warm emails. If you have bought a random email list or just placed people on your email list from cards you have gathered, chances are that those people are not your target customers. The best way to collect emails is by allowing people to opt into your email subscriptions, via your blog or website. When people subscribe to your email list, it means that they actually want to receive additional information from you via email. Your subject line isn’t appealing. Your subject either doesn’t interest people or it sounds like a pushy sales email. Do you see the difference? Approach people with a way for them to receive a benefit and they will be more inclined to open your email and read your offer. The worst thing for any marketing campaign to do is to be all over the place. These are the campaigns that try to appeal to everyone, instead of having a central target market to focus on. You can’t be a B2B business but your sent emails are talking about consumer issues. Also, confusing messages don’t make it clear what is the intent of the email. And when people are confused, they disengage. Are you signing people up for your course? If not, are you selling a product or service? Or, are you just communicating to keep people engaged? Don’t try to do 5 things in one email. Keep it simple so people know what your intentions are. This enables them to easily make a decision. You would rather have a clear decision being made, instead of people just moving along because they are not sure what to do. You email them too much. Don’t send an email every day. It becomes an annoyance and starts to look like spam, rather than useful information. Moderately send out emails, and make sure that they are not all focused on selling. You can also provide people with industry news, company news, and blog updates – mix it up. Your emails aren’t valuable. If you aren’t educating people when you send emails, you are wasting your time. The purpose of email marketing is to be seen as an authority, not a nuisance or the same as everyone else. Get to know your subscribers. Ask them questions and dig deep into their answers so that you can provide them with emails that they can’t resist. How dare you send an email with the intent to sell without a call to action! Explaining why the problem occurs. Now you must demonstrate your expertise. Breakdown the cause of the occurring problem. Providing a solution. You don’t give away the grand prize when doing this. This is what your call to action is here for – to provide the solution. Instead, you speak about the value of your solution, enticing people to click on the call to action. Don’t let these type of mistakes ruin your email marketing efforts. Your goal is to produce high conversions, but that goal cannot be realized if you aren’t producing emails that are engaging and effective. But that is why we are here, to help you produce better results with your online marketing. We provide consistently high deliverability. We give you the tools you need to track your results and update tactics accordingly. If you are ready to start getting results, sign up now for a free 2 week trial of Sendlane. Have any questions or feedback? Post a comment below so we can know what you are thinking. 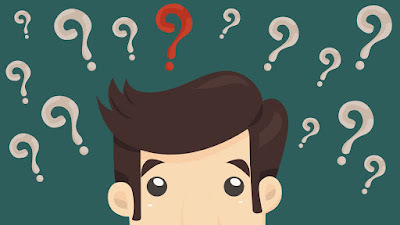 We would love to know your experiences with email marketing. We hope you found this post helpful and appreciate you stopping by every Monday and Friday for new content. Please help us spread the word by sharing this post on your favorite social networks using the share buttons at the bottom of the post. Facebook, Google Plus, Linkedin etc. We appreciate your support.